Tudor's titanium dive watch gets a left-handed crown and numbered case back. Short for “left-hand drive”, the Pelagos LHD (ref. 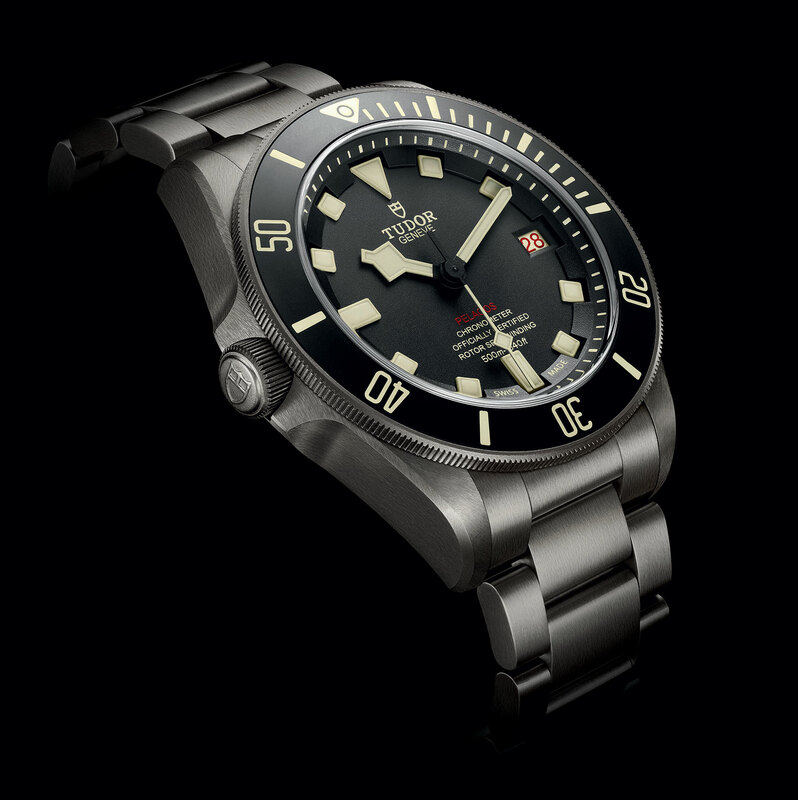 25610TNL) is the destro version of Tudor’s top of the line, 500m dive watch that’s also enjoy a vintage-inspired facelift. And the new Pelagos costs the same the the ordinary Pelagos. In the 1970s Tudor famously supplied dive watches to the France’s Marine Nationale. Nearly all these “snowflake” Submariners (the refs. 9401 and 9411) supplied to the French navy were conventional watches with the crowns on the right of the case. But a few were customised for left-handed divers with the crown on the opposite side, with the watch meant to the worn on the right wrist. Those left-handed military issue Submariners are the basis for the Pelagos LHD. To accommodate the new crown position, the movement had to be modified, resulting in the MT5612-LHD. Based on the MT5612 inside the ordinary Pelagos, the new calibre has the crown on the left while the date remains at three o’clock. Those features aside, the LHD movement is otherwise identical, a COSC-certified automatic with a 70-hour power reserve and silicon hairspring. 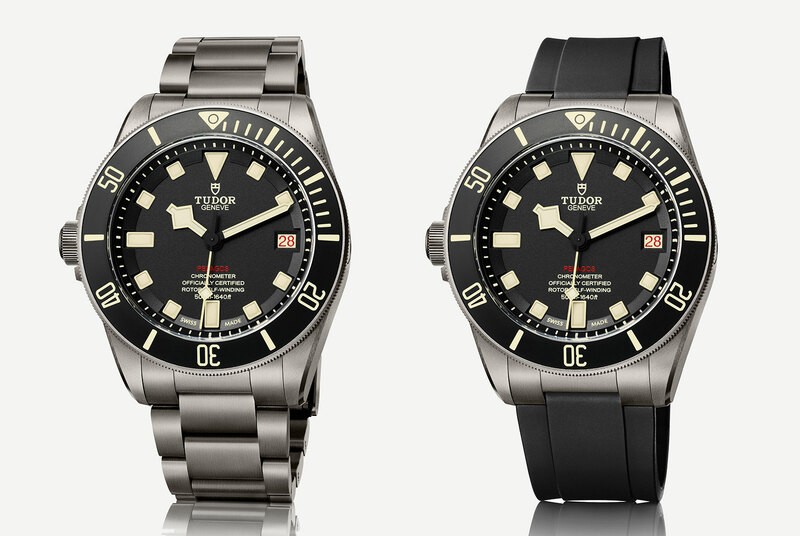 Besides the crown, the new Pelagos includes notable tweaks inspired by vintage Tudor (and Rolex) watches. The luminecsent Super-Luminova on the dial, hands and bezel is beige for a retro look, mimicking the look of aged tritium found on vintage dive watches. And “Pelagos” on the dial is in red, a detail take from vintage dive watches (Red Sub anyone?). Similarly, the even-numbered days of the month on the date disc are red, while the odd days are in black, a “roulette” date wheel in vintage watch parlance. And most unusually, the Pelagos is numbered sequentially on the case back with extra-large serial numbers specific to this model. 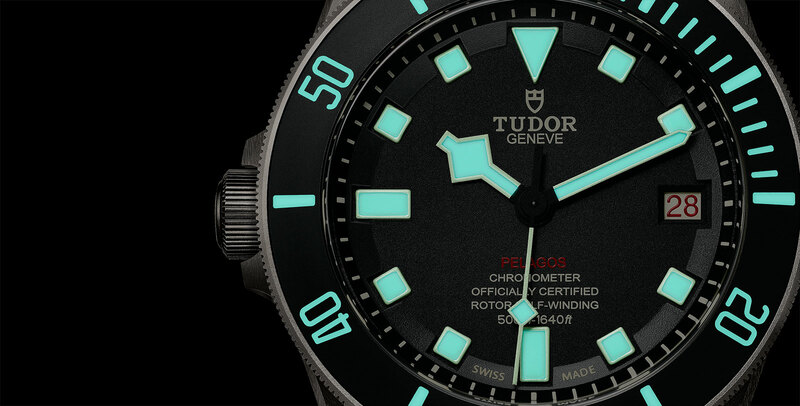 While not a limited edition, the Pelagos LHD is the first Tudor so numbered. Historically all Tudor watches were numbered across the brand’s entire production with the same series of numbers, regardless of the model. That aside the Pelagos LHD is identical to the conventional model. 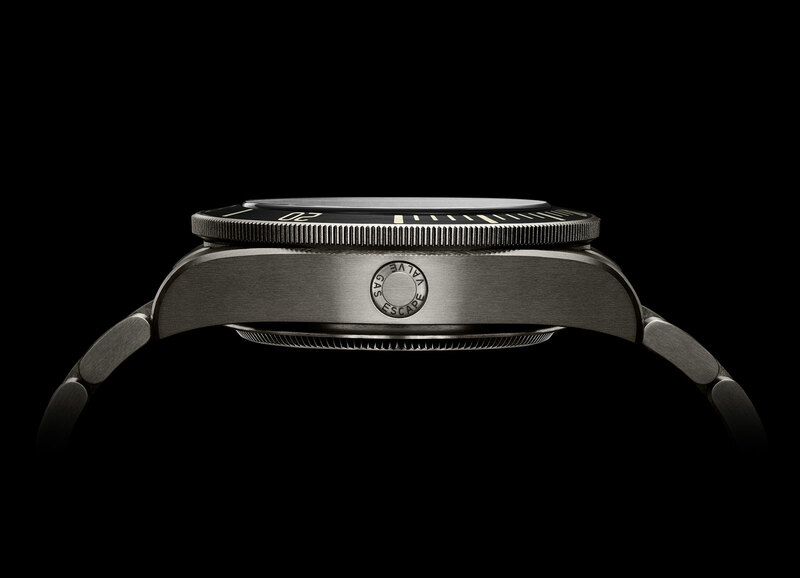 So the case is titanium, 42mm in diameter, with a helium escape valve at nine o’clock. The bezel is also titanium, with a black ceramic insert. And the titanium bracelet features Tudor’s patented diving extension clasp that automatically adjusts as the wearer descends deeper into the water. The styling of the new Pelagos brings it closer to the Black Bay, Tudor’s bestselling dive watch. 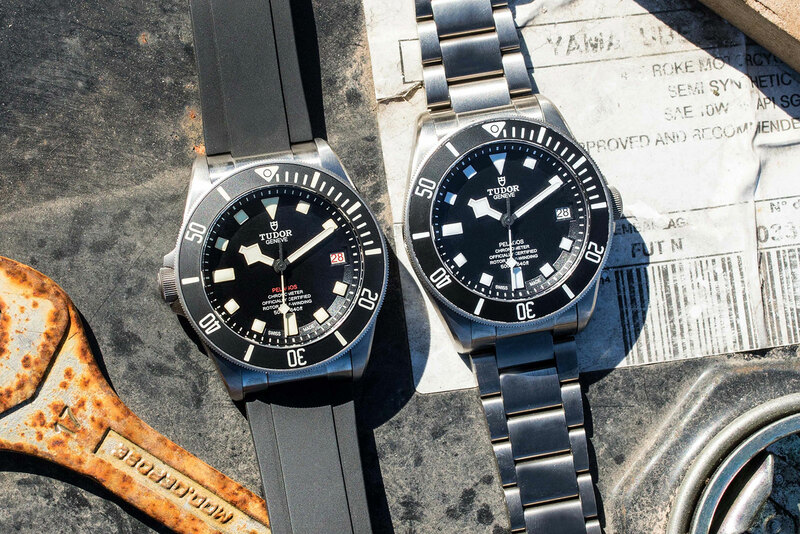 That might imply that the modern look of the original Pelagos does not sell as well as the heavily retro styling of the Black Bay, and that the Pelagos LHD is a response to demand. Packaged with both the titanium bracelet and a rubber strap, the Pelagos LHD (ref. 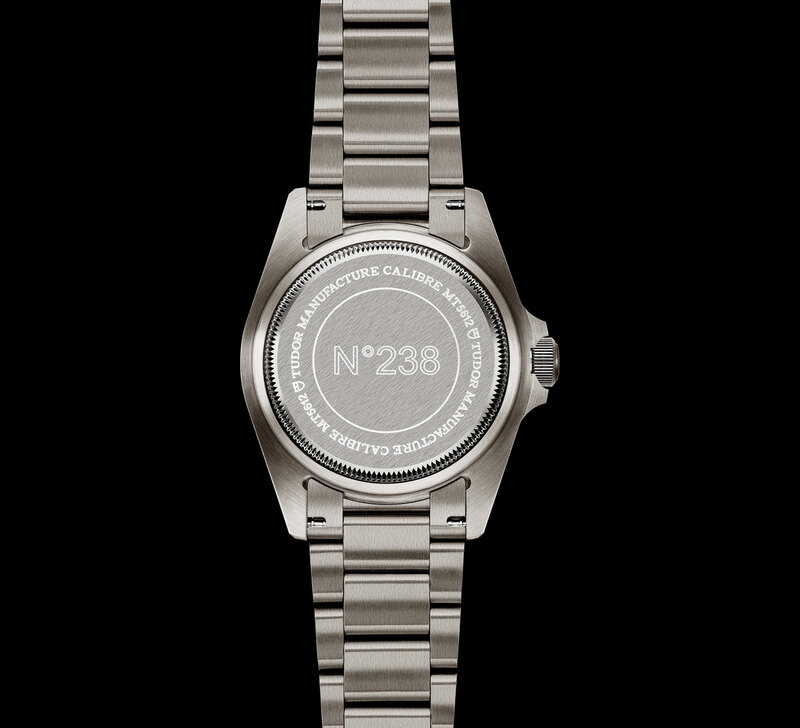 25610TNL) is available starting November 18 at Tudor retailers. The price is US$4400 or S$6048, which is the same as the ordinary Pelagos.